As is true for many cancers, breast cancer responds best to treatment when it is caught early, before it has spread throughout the body. Dr. Fatima Cardoso, the study's lead author and a breast cancer specialist at the Champalimaud Clinical Center in Lisbon, Portugal, says that creates a conundrum for doctors and patients alike. Because it's the only opportunity to cure the cancer, "when in doubt we tend to treat" women with early-stage breast cancer, she told Shots. "So we know that we overtreat the patients with early breast cancer." That means that women could end up undergoing chemotherapy even if it wouldn't really improve their survival odds. But the test results weren't always definitive. About 95 percent of women who skipped chemotherapy as a result of the genetic test results were free of metastasis five years later, but those who had the additional treatment did about 1.5 percentage points better, give or take. "It's possible that the benefit is zero, and it's possible that's 2 percent or maybe even a little more, you can't be sure," says Dr. Clifford Hudis, chief executive officer of the American Society of Clinical Oncology. He was not involved in the European study but co-wrote an editorial accompanying it. It would take another huge clinical trial to figure out whether chemotherapy does in fact add a small survival advantage. But the study raises a bigger point here: The genomic test, as precise as it is, offers only probabilities, not absolute guidance. And that's a lesson that applies to the whole new realm of precision medicine, which is billed as potentially transformative for medical care. Is it worth all the trouble of chemotherapy for women who are found to be at low risk for recurrence in this genomic test? That's a tough call, because it requires grasping the rather abstract idea of improving survival odds by maybe just 1 percentage point. "As humans, we're notoriously poor at assessing risk and making those calculations," Hunter says. She says the women clearly benefit from the new information, even though it doesn't provide an absolute answer. Scientists had high hopes that the new medical technologies known as precision medicine would give crisp, clear answers to patients facing hard decisions. But a study involving early stage breast cancer shows that precision tests based on genetic fingerprints don't take away the uncertainties. NPR's Richard Harris explains. RICHARD HARRIS, BYLINE: As is true for many cancers, breast cancer responds best to treatment when it is caught early before it has spread throughout the body. Dr. Fatima Cardoso says that creates a conundrum for doctors and patients alike. FATIMA CARDOSO: When in doubt, we tend to treat. So we know that we over-treat the patients with early breast cancer. HARRIS: Cardoso is a breast cancer specialist at the Champalimaud Clinical Centre in Lisbon. She helped organize a huge study throughout Europe to see whether a commercially available genetic test called MammaPrint could help reduce that overtreatment. Scientists identified women with breast cancer who, based on physical exams, seemed to be at higher risk of having the cancer return after surgery but who seemed to be at low risk of recurrence based on the genetic test. They were invited to participate in the study which would randomly assign them to have chemotherapy or not. CARDOSO: You know that chemotherapy is a treatment that scares people. So for the majority of patients, it was not difficult to convince them. HARRIS: Cardoso and dozens of her colleagues now report their results in the New England Journal of Medicine. The genomic test, which assesses 70 genes, did a pretty good job predicting who was at low risk for recurrence of breast cancer and could therefore avoid the pain, discomfort and risks of chemotherapy. CARDOSO: About 46 percent are considered at low risk with the genomic test and can consider not to receive chemotherapy. HARRIS: But the test didn't provide absolute answers. About 95 percent of women who skipped chemotherapy as a result of the genetic test results were free of metastasis five years later. Those who had the additional treatment did marginally better - about 1.5 percentage points better. Dr. Clifford Hudis, head of the American Society of Clinical Oncology, says it's hard to know exactly what to make of that difference. CLIFFORD HUDIS: It's possible that the benefit is zero, and it's possible that it's 2 percent or maybe even a little more. You can't be sure. HARRIS: They'd need to run another huge trial to sort that out. But that raises a bigger point here. The genomic test, as precise as it is, offers only probabilities, not absolute guidance. DAVID HUNTER: Precision doesn't mean certainty. HARRIS: David Hunter is at Harvard T.H. Chan School of Public Health. 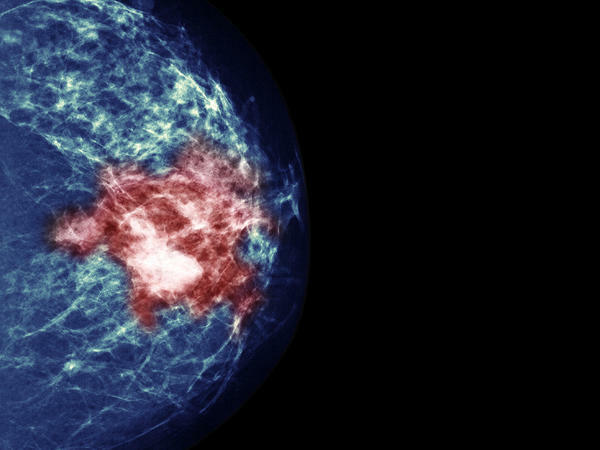 He says this breast cancer test offers larger lessons for what the burgeoning field of precision medicine will bring us. HUNTER: The new tools will definitely be helpful, but they often will pose challenges about what the right decision is. HARRIS: Is it worth all the trouble of chemotherapy for women who are found to be at low risk for recurrence in this genomic test? That's a tough call because it requires grasping the rather abstract idea of improving survival odds by maybe just one percentage point. HUNTER: As humans, we're notoriously poor at assessing risk and making those calculations. HARRIS: Hunter says doctors and patients need better tools to understand and communicate the subtleties that are inherent in precision medicine. Cardoso is already seeing this play out in her clinic. I asked if she is now seeing women skip chemotherapy when they see there is a marginal benefit. CARDOSO: Usually yes, but there are always some patients for whom 1 percent benefit is enough. And you need to respect the wishes of each individual patient. HARRIS: She says the women benefit from the new information even though it doesn't provide an absolute answer. Richard Harris, NPR News. Transcript provided by NPR, Copyright NPR.